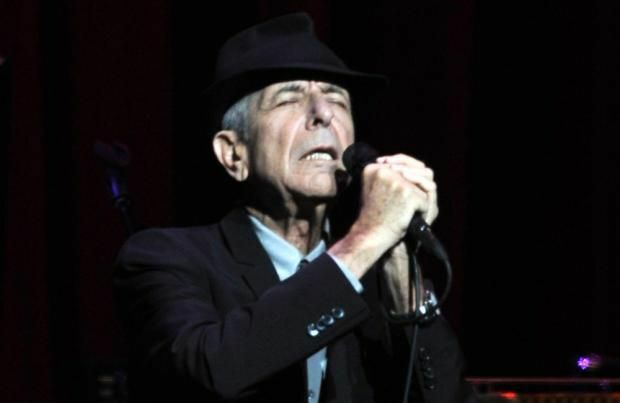 Leonard Cohen is "ready to die". The 82-year-old singer songwriter says he is at peace with death and is keen to "tie up the strings" on some of his unreleased music if he can. He said: "The big change is the proximity to death. I am a tidy kind of guy. I like to tie up the strings if I can. If I can't, that's OK. But my natural thrust is to finish things that I've begun. "I don't think I'll be able to finish those songs. Maybe, who knows? And maybe I'll get a second wind, I don't know. But I don't dare attach myself to a spiritual strategy. I don't dare do that. I've got some work to do. Take care of business. I am ready to die. I hope it's not too uncomfortable. That's about it for me." And Leonard feels he has more time now as he is "filled with many fewer distractions" because his children are all grown up. He added: "I am filled with many fewer distractions than other times in my life and [I'm able] to work with a little more concentration and continuity than when I had duties of making a living, being a husband, being a father. Those distractions are radically diminished at this point. The only thing that mitigates against full production is just the condition of my body." The 'Hallelujah' hitmaker is enjoying "putting his house in order" and feels very blessed to have such a wonderful family. "At a certain point, if you still have your marbles and are not faced with serious financial challenges, you have a chance to put your house in order. Putting your house in order, if you can do it, is one of the most comforting activities, and the benefits of it are incalculable."